Information is defined as data has undergone processing and is meaningful to the user when he/she needs it. The statement simply indicates that information is not just a by-product of data processing, but it must have certain qualities for it to qualify to be a resource to the organization. Thus the qualities of timeliness, correctness and relevancy must be observed for it to be good information. example:James, John and Caro were awarded certificates for being the cleanest students in our school. this statement now satisfies our curiosity because it has been attached much more meaning useful to us but we need also to when. Data processing can be regarded as the act of collecting data, manipulating it to get information through (input, Processing and output) and finally distributing it to the relevant organs for use. Data processing cycle are the stages (phases) through which data moves before it becomes information. Data creation is the process of capturing data from the source location using data capturing methods like:(scanning, digital camera, touch screen, voice input etc). This is a term used to refer to the transfer of data from the point of collection (source) to the point where processing is to be done (data processing department) this is possible through computer-to-computer communication, physically by post office or via courier services if the source is away from the data processing department. Data preparation is the term used to describe the process by which data is prepared and made ready for entry in the computer for processing. This is the manipulation of input data into a more meaningful output that can be regarded as being meaningful to the user. This is the final activity in data processing cycle where the expected output (information) is displayed. This information is then distributed to places (information dissemination) where its needed to influence decision making process. Information dissemination may include: electronic presentations over radio or television, distribution of hard copies, broadcasting messages over the internet or mobile phones. 5. What is the essence of output stage? Computers make errors because people program them to make those errors. These errors are caused by incorrect reading of the source document by the user and hence entering wrong values e.g. a user may enter 5 instead of S or 0 instead of o and so forth. These are errors that occur due to incorrect arrangement of characters. like putting characters in the wrong order. e.g. the user may enter 369 instead of 396. However these errors can be avoided by using modern data capture devices like the bar code reader, optical character reader, digital cameras, scanners, configuring the right data-types in the database e.t.c. These are errors that occur from a calculation which appear too large to be stored in the allocated memory space. e.g. if a byte is represented by 8 bits, an overflow will occur if the result of a calculation gives a 9-bit number. Underflow (or "floating point underflow", or just "underflow") is a condition in a computer program where the result of a calculation is a smaller number than the computer can actually store in memory. Arithmetic underflow can occur when the true result of a floating point operation is smaller in magnitude (that is, closer to zero) than the smallest value representable as a normal floating point number in the target datatype. Underflow can in part be regarded as negative overflow of the exponent of the floating point value. For example, if the exponent part can represent values from −127 to 127, then a result with absolute value less than 2−127 may cause underflow. Truncation errors result from having real numbers that have a long fractional part which cannot fit in the allocated memory space. The computer would truncate or cut off the extra characters from the fractional part For example, a number like 0.784969 can be truncated to four digits to become 0.784. The resulting number is not rounded off. Rounding errors results from raising or lowering a digit in a real number to the required rounded number. For example, to round off 30.666 to one decimal place, we raise the first digit after the decimal point if its successor is more than 5. In this case, the successor is 6 therefore 30.666 rounded up to one decimal place is 30.7. If the successor is below 5, e.g. 30.635, we round down the number to 30.6. An algorithm is a set of procedural steps followed to solve a given problem. Algorithms are used as design tools when writing programs. Wrongly designed programs would result in a program that runs but gives erroneous output. Such errors that result from wrong algorithm design are referred to as algorithm or logical errors. Data integrity refers to the correctness and completeness of data entered in a computer or received from the information system. This is how close an approximation is to an actual value. example: in a number like 34.247545, 34.2475 is more accurate than than 34.2 this is because the deviation on the former is much lesser than the latter. This is the relative accuracy of data in respect to the current state of affairs for which it is needed. Information should be available on time for decision making. For example: In a data base to prepare worker's salaries, information on the presence of workers over the month should be processed on time before salary arrears are released every month. Data entered into the computer must be relevant in order to get the expected output. it must meet pertinent needs at hand and must meet the requirements of the processing cycle. 5. Using devices that directly capture data from the source such as bar code readers, digital cameras, optical character reader e.t.c. 4.	you may have come across the term garbage in garbage out (GIGO). what is its relevance to errors in data processing. C) state at least five ways of minimizing threats to data integrity. Most schools in Kenya process their data manually especially while admitting form 1s. As the students report, they are given a form to fill, these forms are filed by the school secretary and stored in the file cabinet- that is, if the school has 450 students, the school secretary will have those 450 files to handle thus retrieve, store, manipulate and update information which is a tedious job. In mechanical data processing, data is processed with different mechanical devices. Electronic Data Processing (EDP) can refer to the use of automated methods to process commercial data. This means that, data processing, retrieval, storage, manipulation, sorting and part of analysis is done through automated methods using devices like computers. 4. Capability to store huge amounts of information in a small space. 5. Portability - a pen drive or disc enables you to transport enormous amounts of data easily and discreetly. 1. Electrical/Electronic failure can cause temporary suspension of business or permanent loss of data. 2. Portability - copied information can be easily hidden on a disc or pen drive. 3. Data is not always secured by correct monitoring of access. 4. Information can be permanently deleted in error. 5. Hacking can release information that is data protected. 6. Cost of installing system. A character refers to a letter, number or symbol that can be entered, stored and output by a computer. This is the smallest element in a computer file. This is computer file viewed in terms of what data items it contains and details of what processing operations may be performed on the data items. It does not have implementation specific information like field and data types, size and file types. This is a computer file viewed in terms of how data is stored on a storage media and how the processing operations are made possible. They have specific details such as characters per field and data type for each field. 7. Why is a computer file described as 'durable'? Master files, Transaction, Reference, Backup, Report and sort file. A master file refers to a collection of records pertaining to one of the main subjects of an information system, such as customers, employees, products and vendors. This is a collection of transaction records. The data in transaction files is used to update the master files, which contain the data about the subjects of the organization (customers, employees, vendors, etc.). This file is normally used for reference or look-up purposes. Look up information is that information which is stored in a separate file but is required during processing. A report file is used to store relatively permanent records extracted from the master file or generated after processing. File organization refers to the way data is stored in a file. File organization is very important because it determines the method of access, efficiency, flexibility and storage devices to be used. •	A sequentially organized file consists of records arranged in the sequence in which they are written to the file (the first record written is the first record in the file, the second record written is the second record in the file, and so on). As a result, records can be added only at the end of the file. Attempting to add records at some place other than the end of the file will result in the file begin truncated at the end of the record just written. •	Sequential files are usually read sequentially, starting with the first record in the file. Sequential files with a fixed-length record type that are stored on disk can also be accessed by relative record number (direct access). •	Records in sequential files can be read or written only sequentially. •	After you have placed a record into a sequential file, you cannot shorten, lengthen, or delete the record. However, you can update (REWRITE) a record if the length does not change. New records are added at the end of the file. •	If the order in which you keep records in a file is not important, sequential organization is a good choice whether there are many records or only a few. Sequential output is also useful for printing reports. •	In random file organisation, records are stored in random order within the file. Though there is no sequencing to the placement of the records, there is however, a pre-defined relationship between the key of the record and its location within the file. In other words, the value of the record key is mapped by an established function to the address within the file where it resides. Therefore, any record within the file can be directly accessed through the mapping function in roughly the same amount of time. The location of the record within the file therefore is not a factor in the access time of the record. As such, random files are also known in some literature as direct access files. •	Serial file organization is the simplest file organization method. In serial files, records are entered in the order of their creation. As such, the file is unordered, and is at best in chronological order. Serial files are primarily used as transaction files in which the transactions are recorded in the order that they occur. •	indexed file contains records ordered by a record key. Each record contains a field that contains the record key. The record key uniquely identifies the record and determines the sequence in which it is accessed with respect to other records. A record key for a record might be, for example, an employee number or an invoice number. •	An indexed file can also use alternate indexes, that is, record keys that let you access the file using a different logical arrangement of the records. For example, you could access the file through employee department rather than through employee number. Computers are programmed to process data in different ways. Just like humans they can process shortest job first-SJF, First Come First Serve-FCFS or they can just Round Robin giving a time span, important/emergency jobs first-real time. •	In this processing mode, data is processed immediately it is received. •	Example: When booking a seat on an airline, the seat is booked immediately. This is to avoid problems of double-booking. •	In real time processing the computer processes the incoming data as soon as it occurs, up-dates the transaction file and gives an immediate response that would affect the events as they happen. •	There is no much difference with online processing however with real-time processing, the outcome of the processing is required immediately to influence decision making and not necessarily through online means but can be within a machine. •	Example: in nuclear power stations, a certain level of temperature is required to be maintained for effective disintegration of atoms. •	These points to dividing (distributing) processing tasks to two or more computers that are located on physically separate sites but connected by data transmission media; there may be a central computer that receives input from the remote computers (terminals), processes the data and updates the master file. If required, the output can be communicated back to the remote terminals. •	Example: When you withdraw money from a bank, your records are transacted and updated in the main server computer which will also update client computers across the bank branches divide. •	Just as the name suggests, time-sharing refers to many terminals connected to a central computer and given access to the central processing unit apparently at the same time this sounds like ‘round robin’. Each user is allocated a time slice of the CPU in sequence. •	The amount of time allocated to each user is controlled by a multi-user operating system. If a user’s task is not completed during the allocated time slice, he/she is allocated another time slice later in a round robin manner. •	In batch processing, data is accumulated as a group (batch) over a specified period of time e.g. daily, weekly or monthly. •	The batch is processed at once. E.g. in a payroll processing system, employees details concerning number of hours worked, rate of pay, and other details are collected for a period of time, say one month. These details are then used to process the payment for the duration worked. •	Multiprocessing refers to the processing of more than one task apparently at the same time. This is possible in computers like mainframes and network servers. •	A computer may contain more than one independent central processing unit which works together in a coordinated way. At a given time, the processors may execute instructions from two or more programs or from different parts of one program simultaneously. •	Also referred to as multitasking- refers to a type of processing where more than one program are processed apparently at the same time by a single central processing unit. •	Unlike multiprocessing, in multitasking, the computer has only one CPU. The computer allocates each program a time slice and decides what order they will be executed. •	There is a continuous dialogue between the user and the computer. 4. Support for information sharing and collaboration on a wider scale. 3. Lack of ICT skills among many knowledge workers to support electronic data processing. 3. SHULE Secondary school Board of Governors has asked you to help them find a computer processing mode that they will introduce to enroll form one students each year that will allow them to confirm admissions, pay school fees without necessarily having to travel physically to the school. Which processing mode would you recommend and why 4. Of the processing modes, which mode is effective for filling questionnaires online and why? d) Processed data which has much meaning and can be used in decision making 2. At least, these all seem different to us. However, ALL types of information stored in a computer are stored internally in the same simple format: a sequence of 0's and 1's. How can a sequence of 0's and 1's represent things as diverse as your photograph, your favorite song, a recent movie, and your term paper? It sounds complicated. However you should understand that computers don’t understand our natural languages like Kiswahili, English or Kalenjin. They have their own language called machine language. That means, what you type or speak into the computer is converted into a language that computers are able to understand. In digital computers, the user input is first converted and transmitted as electrical pulses that can be represented by two distinct states ON and OFF or ‘1’ and ‘0’ respectively. A digital signal refers to an electrical signal that is converted into a pattern of bits. Unlike an analogue signal, which is a continuous signal that contains time-varying quantities, a digital signal has a discrete value at each sampling point. The precision of the signal is determined by how many samples are recorded per unit of time. Periodic time (T) periodic time is the reciprical of frequency i.e T=1/f When a digital signal is to be sent over analogue telephone lines e.g email, it has to be converted to analogue signal . Data and instructions cannot be entered and processed directly into computers using human language. Any type of data, be it numbers, letters, special symbols, sounds or pictures must first be converted into machine readable form. Due to this reason, it is important to understand how a computer together with its peripheral devices handle data in its electronic circuits. On magnetic media and in optical devices. In digital circuits, when the circuit is ‘on’, its interpreted as a ‘1’ and when ‘off’ its interpreted as a ‘0’. These ‘1s’ and ‘0s’ is what computers understand and its refered to as binary language. The presence of a magnetic field in one directionon magnet media is interpreted as ‘1’, while the field in the opposite direction is interpreted as ‘0’. Magnetic technology is mostly used on storage devices which are coated with special magnetic materials such as iron oxide. Data is written on the media by arranging the magnetic dipoles of some iron oxide particles to face in the same directionand some others in the opposite direction. In optical devices, the presence of light is interpreted as ‘1’ while its absence is integrated as ‘0’. Optical devices use this technology to read or store data. Take an example of a CD-ROM. If the shiny surface is placed under a powerful microscope, the surface can be observed to have very tiny holes called pits. The areas that do not have pits are called land. Land reflects laser light that hits on the surface but bits don’t reflect. The reflected pattern of light from the rotating disk falls on a receiving photoelectric detector that transforms the patterns into digital form. Bits: a bit can be defined as a binary digit which can either be 0 or 1. It is the basic unit of data or information in digital computers. Byte: a group of bits (often 8) used to represent a character is called a byte. 1. Why is the binary number system used in data representation? programming is the art of designing computer programs. When designing these programs, there are a number of procedural steps that need to be observed and laid down. Previously, systems used to operate by plugging and unplugging wires on the switch board which was more of a physical adventure than automated. However, with programming devices, systems got automated due to software advancements and creations and that is how digital technology came into being courtesy of programming. Computers work by running a set of instructions called Programs (software or codes). Programming involves creation of computer programs to solve a particular task. When creating computer programs, one is likely to use programming languages which create a platform to create programs. A programming language is a special set of symbols that can be translated into machine readable form by the computer when arranged in a particular sequence or order. Each language has a special sequence or order of writing characters usually referred to as syntax. - Years 50: Creation of high-level languages (closer to humans). - Years 60: Expansion of specialized languages. Forth. Simula I. Lisp, Cobol. Trying unsuccessfully to impose general languages:Algol, PL / 1. - Years 70: Duel between structured programming with Pascal and efficiency of C language. Basic generalized on personal computers from 1977, until the late 80s. - Years 80: Experimentating other ways including objects. ML. Smalltalk. On computers, we now use C, Pascal, Basic compiled. - Years 90: Generalization of object-oriented programming with the performance of microcomputers. Java, Perl, Python languages in addition to microphones. - 2000s: Internet Programming (and future innovations, see end of text). Ada Lovelace and Babbage and its nephew were writing programs for the project of "difference engine", and then the "analytical engine". In 1945, the German K. Zuse, inventor of the Z3 computer would have defined an evolved language for this engine (with arrays and records). Few documents of the epoch about this language exist. This is the program code that the programmer enters in the program editor window that is not yet translated into machine readable form. The source program is usually created using a particular programming language like Pascal, C, C++, Visual Basic, Java e.t.c. This is program code that is in machine readable form. A source code that is not in machine readable form must be translated into object code. This refers to language processors such as assemblers, interpreters and compilers that convert the source program into object code. An assembler translates assembly language into machine language that the computer can understand and execute. An interpreter translates the source program line-by-line, allowing the CPU to execute one line before translating the next. The translated line is not stored in the computer memory. It means that every time, the program is needed for execution, it has to be translated. This method of translating programs was very common in early computers that did not have enough memory to store the object code as a file that can be executed later. A compiler translates the entire source program into object code. 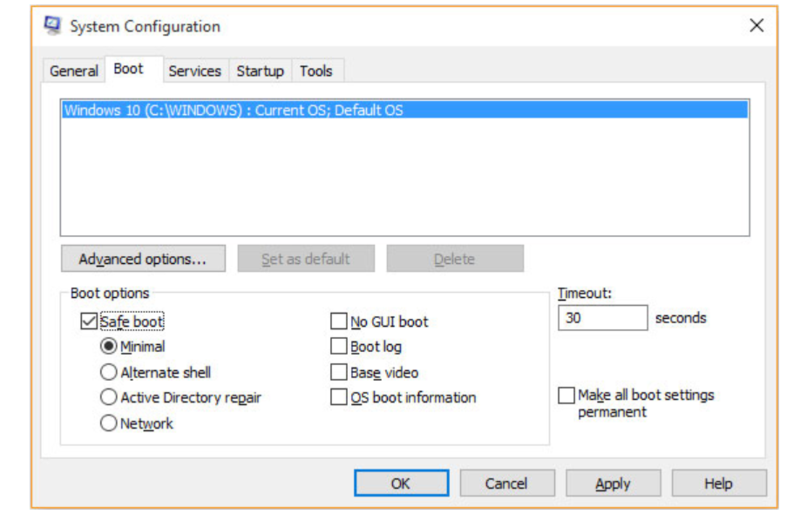 The object code file can be made into full executable program by carrying out another process known as linking which joins object code to all the other files that are needed for the execution of the program. After the linking process, an executable file (application file) is generated. This file is stored on a storage media such as a disk with a name that has a unique extension (.EXE). 3. Interpreted object code takes less memory compared to compiled program	Compiled programs require more memory as the object file are larger. A low-level programming language is a programming language that provides little or no abstraction from a computer's instruction set architecture. Generally this refers to either machine code or assembly language. The word "low" refers to the small or nonexistent amount of abstraction between the language and machine language; because of this, low-level languages are sometimes described as being "close to the hardware". Low-level languages can be converted to machine code without using a compiler or interpreter, and the resulting code runs directly on the processor. A program written in a low-level language can be made to run very quickly, and with a very small memory footprint; an equivalent program in a high-level language will be more heavyweight. Low-level languages are simple, but are considered difficult to use, due to the numerous technical details which must be remembered. Sometimes referred to as machine code or object code, machine language is a collection of binary digits or bits that the computer reads and interprets. Machine language is the only language a computer is capable of understanding. The only advantage is that program of machine language run very fast because no translation program is required for the CPU. 1. It is very difficult to program in machine language. The programmer has to know details of hardware to write program. 2. The programmer has to remember a lot of codes to write a program which results in program errors. 3. It is difficult to debug the program. Sometimes referred to as assembly or ASL, assembly language is a low-level programming language used to interface with computer hardware. This language allowed programmers to write programs as a set of symbolic operation codes called Mnemonics- this is a shortened two or three letter words. Programs written in assembly language require an assembler in order convert them into machine language that the computer can understand. Assembly language is machine dependent- this means, a program written for one computer cannot be used on another. The following disadvantages are observed with the assembly languages. 1. It is time consuming for an assembler to write and then test the program. 2. Assembly language programs are not portable. 3. It is necessary to remember the registers of CPU and mnemonic instructions by the programmer. 4. Several mnemonic instructions are needed to write in assembly language than a single line in high-level language. Thus, assembly language programs are longer than the high language programs. •	These languages are also called procedural or structured languages; this means that these are languages that make it possible to break a program into components called modules each performing a particular task. Fortran: (FORmulaTRANslator) this language was developed for mathematicians, scientists and engineers. It involves writing programs with mathematical expressions. COBOL: (common business oriented language); this language was developed to solve business problems e.g. developing data processing applications such as computer – based inventory control systems. Basic: (Beginners All- Purpose Symbolic Instructional Code); this language was developed to initially enable students learn programming. This is a simple general purpose language used for developing business and educational applications. This was the first high level language that was available for microcomputer users. C: This is a programming language mainly used for developing system software such as the operating system. It is one of the most popular and powerful high – level languages in the business world because of its ability to provide the programmer with powerful features of low level languages and at the same time easily understandable as a high level language. ADA: this is a language named after the first lady programmer. Command buttons, forms, textboxes, Combo boxes etc. Here, selects graphical objects on the screen called controls then uses them to create designs on a base form. The programmer may also use an application generator works behind the scenes to generate the necessary code, hence the programmer is freed from tedious work of writing the code. These languages are designed to depict human-like intelligence. With these languages, the programmer only worries about what problem needs to be solved and what conditions need to be met without worrying about how to implement an algorithm to solve them. The concept behind OOPs is to look at a program as having various objects interacting to make up a whole. Each object has specific data values that are unique to it (called state) and a set of the things it can accomplish called (functions or behavior). This process of having data and functions that operate on the data within an object is called encapsulation. Several objects can then be linked to form a complete program. The World Wide Web has thrown up a number of new scripting languages specifically designed for web page design. It has also seen an upsurge in popularity of some older languages originally designed for other purposes but which happen to be well-suited for web applications. •	HTML (HyperText Markup Language). All web pages are written using HTML (although some of the scripting languages listed below may also be used to provide more versatility). HTML is not really a programing language. It is essentially a set of tags which can be embedded within Ascii text to control how the text should be displayed when viewed in a web browser. DHTML does not depend upon plug-ins and should in theory run on any HTML 4 compatible browser. Processing is client-side. Active Server Pages, for example, may be set-up to run JScript rather than VBScript. •	VBScript is a subset of Visual Basic for Applications (VBA). VBScript is an interpreter language, whereas VB can be compiled. VBScript is often used for server-side scripting and is the default language for Active Server Pages (ASP). It may also be used fot client-side scripting (although it is currently only supported by Internet Explorer). •	Perl (Practical Extraction and Report Language) is a powerful text processing language developed by Larry Wall. It originated on Unix platforms, but interpreters are now available for Windows and Macintosh. Scripts can be easily ported between platforms. Although CGI scripts can be written in other languages (e.g. C or Visual Basic), Perl is often the language of choice for CGI (Common Gateway Interface) scripts. Although useful for web applications, Perl is an extremely versatile language and may also be used for a multitude of non-web related purposes. •	PerlScript is a subset of Perl. It may be used for ActiveX and Active Server Pages. •	Tcl (Tool Command Language) - sometimes pronounced tickle - was developed by John Ousterhout. Like Perl it may be used for CGI scripting or for writing applications. It may be also used to write client-side scripts which run on the user's browser. •	PHP was created in 1994 by RasmusLerdorf to add dynamic content to an HTML page. PHP initially stood for 'Personal Home Page', but now it is generally translated as 'PHP Hypertext Preprocessor'. The PHP code is embedded within the HTML code between special tags. When the page is accessed the server processes the PHP code and then sends the output from the script as HTML code to the client. •	CFML (ColdFusion Markup Language) is a tag-based scripting language developed by Allaire (now merged with Macromedia) as part of the ColdFusion system for dynamic web page creation and database access. The CFML commands are embedded in HTML files. The results of database queries are converted into HTML by the server. It is not a language as such, but a group of interrelated client-side web development techniques used to create interactive web applications. •	Low level programs are machine dependent i.e. they are not transferable from one hardware or software platform to another. •	They have to be interpreted or compiled to machine readable form before the computer can execute them. 5. Why is an executable file unique when compared to any other file? 6. Differentiate between a compiler and an interpreter. Why did early computers work well with interpreters? 13. Explore necessary advantages and disadvantages of low level and high level languages stating two examples of each. Development of programs is the art of preparing and designing necessary structures to come up with computer instructions that can be used to accomplish a task in the computer. There should be some kind of uniformity and relevance in execution from one stage to another and in every stage, documentation is necessary. The diagram below elaborates this. •	This is the understanding and interpretation of a particular problem. To understand these problems, you need to highlight key words like: what needs to be computed, saved, compared, sorted, input etc. •	This is also referred to as problem analysis. •	Here the programmer tries to determine or define the likely input, processing activities and the expected output using the keyword outlined at the problem recognition stage. •	Finally, the boundaries of the expected program will have been established. In case several methods are identified that can be used to solve the same problem, then the best alternative should be chosen. 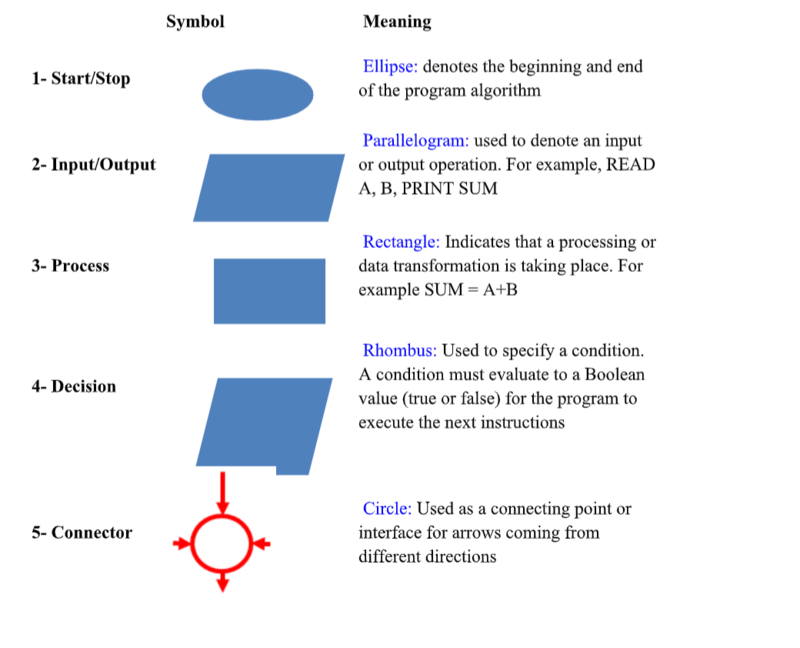 •	This is the actual processing of the program or problem solving logic called the algorithm. •	An algorithm refers to a definite number of logical steps that a program follows in order to solve a problem. It is the programmer who will usually come up with the algorithm after carefully analyzing the requirements specifications. •	Most programs are not holistic, rather monolithic which means they are made up of several units called modules which work together to form the whole. •	In modular programming, each module performs a specific task. This approach makes a program flexible, easier to read and carry out error correction. •	This stage enables the programmer to come up with models of the expected program. The models show the flow of events and data throughout the entire program from the time data is input to the time the program gives out expected information. •	This is the art of converting a program design into an equivalent program. •	This is possible by coding the program with the use of a specific programming language like: Java, Pascal, C++, Visual basic etc. •	This stage involves removing errors from the program (debugging) and execution to test its integrity. These are errors that originate from improper use of language syntax (grammar, spelling, spacing, punctuation and skipping syntax) syntax- is the set of rules that defines the combinations of symbols that are considered to be a correctly structured document or fragment in that language. They are not detectable by the translator. The user may mistakenly alter the statement i.e. instead of typing echo "My first PHP script!" he/she types echo "My second PHP script!" The code will execute but the output will be wrong. - There are several methods of testing the program for errors. This involves going through the program while still on paper before entering it in the program editor. - This is the actual delivery and installation of the new program to be ready for use. Proper training and post implementation support of users will always reduce the chances of having those entering invalid data that can crash the program. •	All stages of the program development should be documented in order to help during future modification of the program. •	External documentation: refers to reference materials such as user manuals printed as booklets. User manuals are common examples of external documentation. 3. Programmer oriented documentation: it is a detailed documentation written for skilled programmers. This documentation provides necessary technical information to help in future modification of the program. •	Other programmers may think of ways of improving your program. Precisely define the problem to be solved, and write program specifications – descriptions of the program’s inputs, processing, outputs, and user interface. 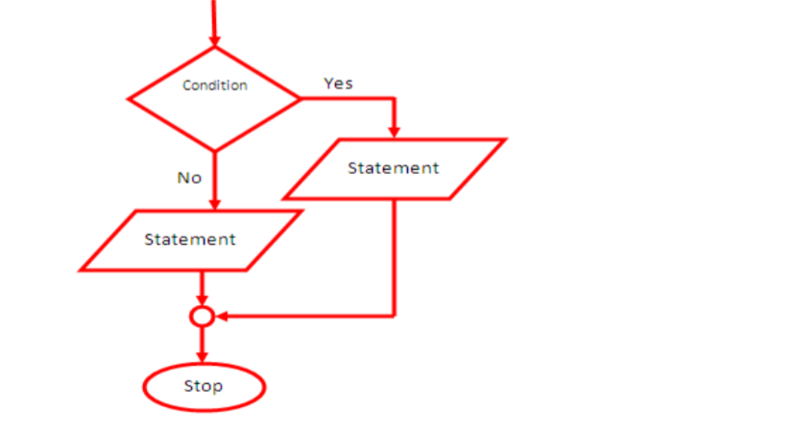 Develop a detailed logic plan using a tool such as pseudo code, flowcharts, object structure diagrams, or event diagrams to group the program’s activities into modules; devise a method of solution or algorithm for each module; and test the solution algorithms. Translate the design into an application using a programming language or application development tool by creating the user interface and writing code; include internal documentation – comments and remarks within the code that explain the purpose of code statements. Test the program, finding and correcting errors (debugging) until it is error free and contains enough safeguards to ensure the desired results. Provide education and support to end users; correct any unanticipated errors that emerge and identify user-requested modifications (enhancements). 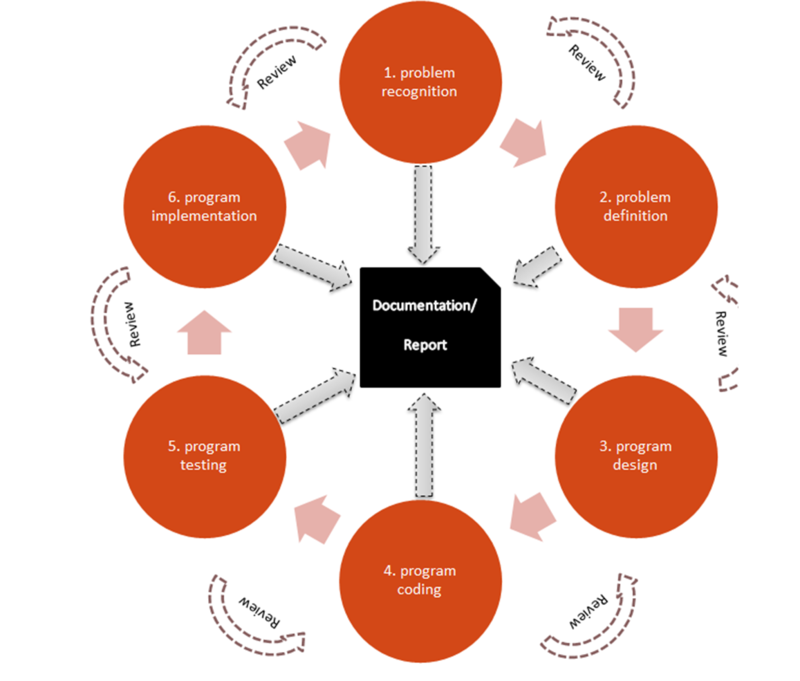 Once errors or enhancements are identified, the program development life cycle begins again at Step 1. 7. What is a program bug? 8. Explain why it is important to test a program before implementing it. Development of algorithms can be defined as logical steps that a program follows in order to solve a problem. Various tools are used to depict algorithms. Pseudo codes A pseudo code is a set of statements written in a human readable language but expressing the processing logic of a program. 3. The logical flow should be clearly shown using arrows. In this structure, the computer reads instructions from a program file starting from the first top line and proceeding downwards one -by -one to the end. 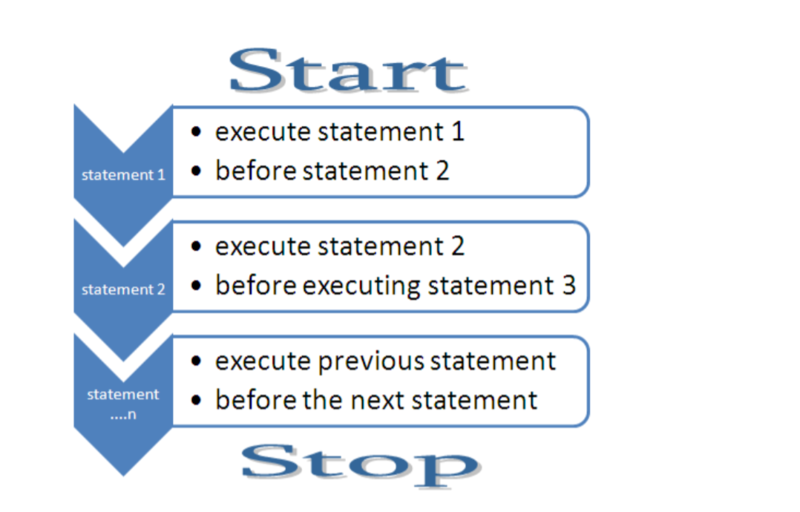 This is called sequential programming execution i.e. In sequential program execution, the computer perform tasks that are arranged sequentially one after another. Just like in a school system, a std5 student must first pass ECD, std 1 - 4 before std 5 in that sequence. This is an alternative to the Nested IF especially where there are several options to choose from. Its preferred because it reduces the many lines of code. However, the boolean expression for the case selection can only be expressed using integers and alphabetic characters only. Iteration is also referred to as looping or repetition. Its designed to execute the same block of code again and again until a certain condition is fulfilled. 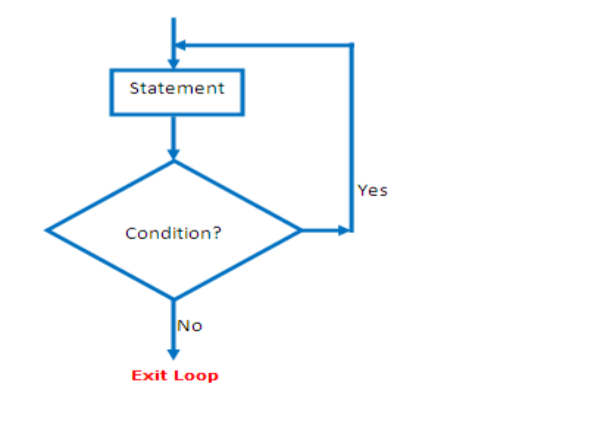 The "WHILE" loop is used if a condition has to be met before the statements within the loop are executed. 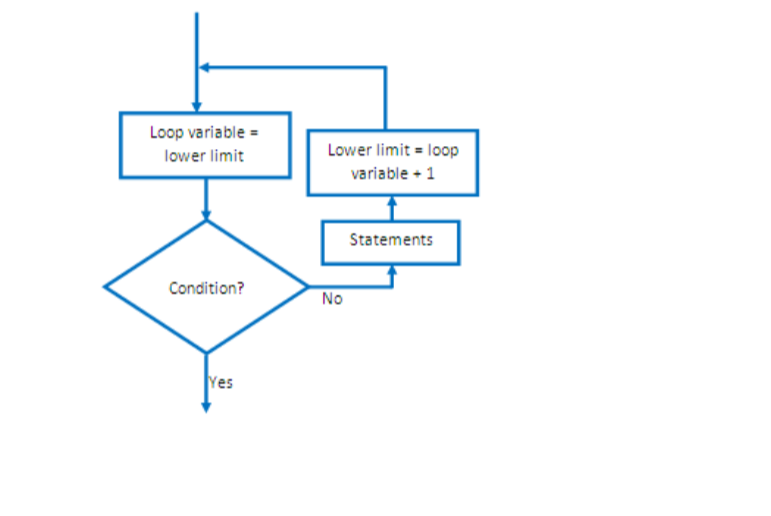 The REPEAT....UNTIL loop allows the statements within it to be executed at least once since the condition is tested at the end of the loop. 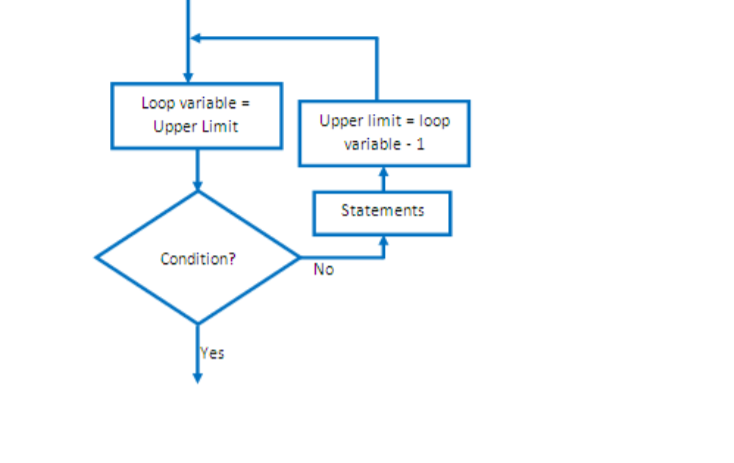 The FOR loop is used in circumstances where the execution of the chosen statements has to be repeated a predetermined number of times. A system is a set of organized components which interact in a given environment and within a specified boundary to achieve collective goals and objectives that are emergent Example of a system is a computer system. i.e. a human body is a complex whole made up of small entities like cells, chromosomes, enzymes, water, bones etc. a human body system is made up of other sub-systems like; circulatory system, digestive system, neural systems etc. Each system has a space (boundary) within which the components operate. A system has two types of entities namely: internal and external entities. The purpose of each system is to perform a particular task or achieve a goal. The word entropy means decay. Systems decay over time. A system can be described as either open or closed. An open system receives input and gives output while a closed system does not. A system adapts to changes in the environment in order to give the expected output or to perform to the expected level. If a human body is ill, the brain system sends a feedback (pain) this feedback will influence the person to seek medical care. •	An Information System is a man-made system that facilitates an organization’s operational functions and supports management decision making by providing information that managers can use to plan and control the activities of the firm. •	is the collection of technical and human resources that provide the storage, computing, distribution, and communication for the information required by all or some part of an enterprise. •	Management Information System (MIS) is a planned system of collecting, storing, and disseminating data in the form of information needed to carry out the functions of management. A systems analyst is an IT professional who specializes in analyzing, designing and implementing information systems. System analysts assess the suitability of information systems in terms of their intended outcomes and liaise with end users, software vendors and programmers in order to achieve these outcomes. 3. Implement, configure and test feasible solutions. 4. Liaise and report to internal and external clients and stakeholders, including colleagues and developers. 5. Is involved throughout the development process. The analyst acts as liaison between the client and the developers. 6. Conduct a cost analysis and agree the time frame to implement the proposed solution. They specify and shape the system requirements and operations, the user interface and output and present the proposal to the client. It relies mostly on the skills and experience of individual staff members carrying out the project. There are no formal procedures followed and therefore the success of the system is dependent on individual effort. In this approach, the manual system is replaced with a computerised one without change in overall structure of the former system, hence the weaknesses of the former system are not addressed and are carried forward to the new system. 5. Integration from very beginning solves a lot of integration issues. 1. Depends on strong team and individual performances for identifying business requirements. 3. Requires highly skilled developers/designers. 5. Inapplicable to cheaper projects as cost of modeling and automated code generation is very high. Structured approach involves a set of stages that should be followed when developing a system. Each stage is documented in specifying the activities that should be carried out. 1. Is the proposed system worthy pursuing? 2. Is the proposed project worthy looking at? •	Problem definition is performed by the senior members of the team with inputs from the customer, the sales department, market surveys and domain experts in the industry. This information is then used to plan the basic project approach and to conduct product feasibility study in the economical, operational, and technical areas. •	A feasibility study (preliminary investigation) is conducted at this stage; Feasibility study is an evaluation and analysis of the potential of a proposed project. It is based on extensive investigation and research to support the process of decision making. Economic feasibility; establishes whether developing the new system is cost effective by analyzing all the costs and benefits of the proposed system. •	After feasibility study has been conducted, a documentation is prepared to cover all the activities that took place.